The fire has since been extinguished. 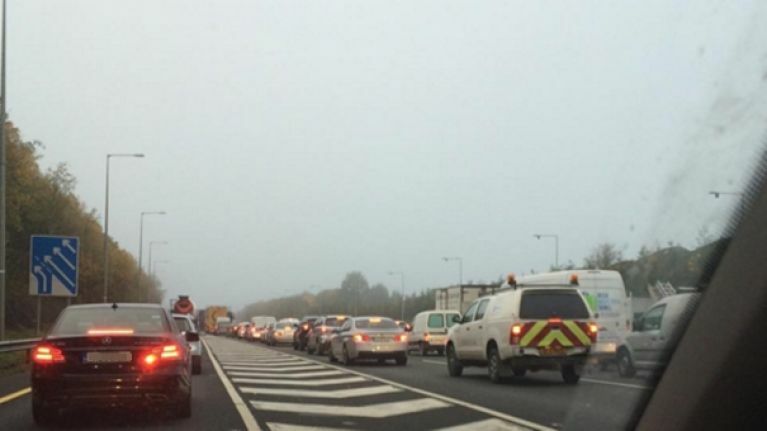 There are delays between Junction 12 and Junction 13 of the M50 after a car went on fire. It is unclear how the incident occurred, and the fire has since been extinguished. The fire occurred between Sandyford and Firhouse on the M50 Northbound. M50 Traffic Alert: Car on fire n/bound on M50 between Jct 13 & 12. They then followed up with a tweet which read: "The fire has now been extinguished. The outside lane still remains closed temporarily until the vehicle is removed form the scene. Please take care on approach." AA Roadwatch also issued a statement which read: "The M50 northbound is temporarily blocked between J13 Sandyford and J12 Firhouse as emergency services deal with a vehicle on fire." The lane has now reopened, but motorists are being urged to take care as delays are still expected.